Ford Motor Company has designed the upcoming 2015 Ford Mustang in a manner that will allow it to compete in the European market but a new report indicates that the next generation Mustang will arrive in Europe quite a while after it debuts in showrooms around the United States. 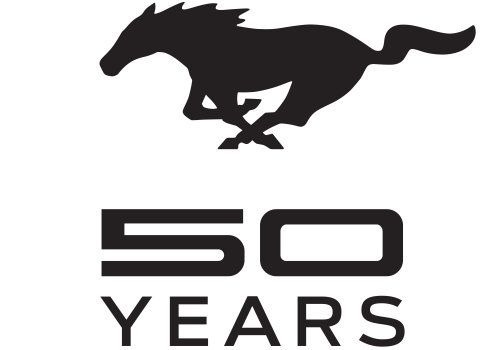 While Ford hasn’t stated an exact time frame for the world debut of the 2015 Ford Mustang, many believe that it will be introduced at the 2014 New York International Auto Show on April 17th 2014 – exactly 50 years after the very first Mustang was introduced at the 1964 New York World’s Fair. There have also been rumors that Ford will offer up a concept form of the next generation Mustang at the 2014 North American International Auto Show in Detroit but so far, those are nothing but unsubstantiated rumors which are supported by hopeful journalists like myself. Regardless of when the 2015 Ford Mustang first shows its face, we should expect to see S550 Mustangs at dealerships by the spring of 2014 here in the United States. There is a possibility that, like the first Mustang back in 1964, the 2015 Mustang will go on sale the same day that it is introduced but in the world of million dollar marketing efforts, that may not happen. The good news for European-based lovers of American performance cars is that the 2015 Ford Mustang will be available in that market to compete with the Chevrolet Camaro but the bad news is that European buyers might be waiting almost a year before their local dealership has a Mustang to sell. According to Hannu Pärssinen, or Ford Finland, the 2015 Mustang may not arrive in those European markets until the 2015 calendar year so depending on when the next gen Mustang debuts in the US, European buyers could be waiting some 8 months. This report also suggests that European dealerships may begin taking orders late in the 2014 calendar year but the engineering vehicles being sent over for testing might not arrive overseas until December 2014 and since the cars cannot go on sale until those pre-sales testing processes have been done – cars likely won’t go on sale until a few months after that. While Europeans will have to wait for their chance to buy a 2015 Ford Mustang, it is believed that those European markets could be among the first to get the new 4-cylinder EcoBoost Mustangs. It has long been rumored that the next generation Mustang could feature a powerful 4-cylinder EcoBoost engine even in the United States but considering that the European market already has some larger performance minded 4-cylinder engines than the 2.0L EcoBoost featured in the Focus ST, it wouldn’t come as a huge surprise to see the Europeans get a turbocharged 4-cylinder 2015 Mustang ahead of the American market. Of course, I would also expect that the 2015 Ford Mustang sold in Europe will feature the powerful 5.0L Coyote V8 that will power the 2015 Mustang GT here in the USA. The Chevrolet Camaro is only sold in Europe in what Americans would consider SS trim with the 426 horsepower, 6.2L V8 so for the new Mustang to compete with the Camaro, it will have to include the similarly powered 5.0L V8. However, the Mustang will likely have an advantage over the Camaro for those buyers who want a little more efficiency thanks to the small yet powerful EcoBoost option.